so I've been spending lots of time in my craft room. 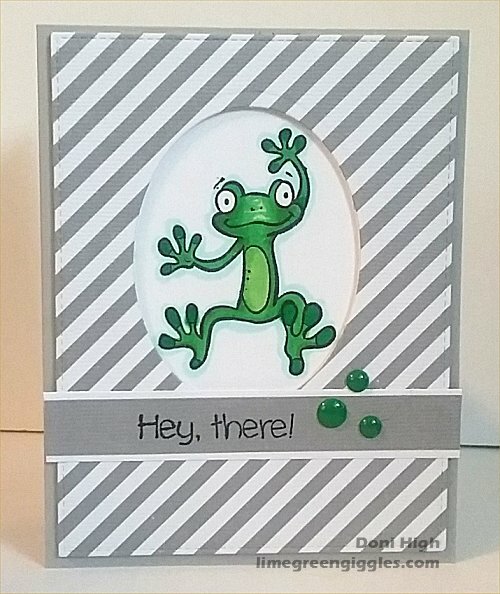 The frog is from Your Next Stamp. What a CUTE guy! Such a fun card! Doni, this is so adorable! I hear ya about the rain...it can't seem to stop here in VA where I live either! So glad you joined us at Color Throwdown! So cute! I like the background you chose for this. Doni, love the look on the little frog's face! Really crisp and fresh design!